When the road calls Forest River Cherokee will help you answer with a booming "Yeah!". Cherokee 5th wheel trailers are built to give you better comfort, style and value, so you can enjoy your travels to the maximum. Whether vacationing with your family or just the two of you. 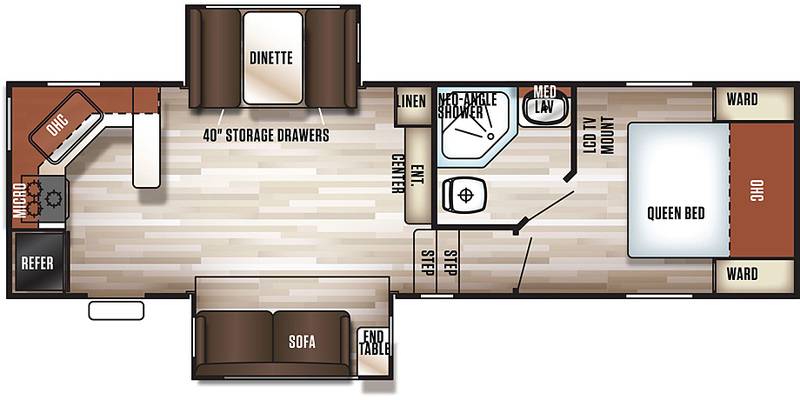 Cherokee has all the features and amenities you're looking for in an RV. With comfortable interiors, slide out rooms, rounded style cabinets and an abundant amount of storage Cherokee has it covered. The best feature is it's affordable price and quality construction.